Can I have my part shipped to a professional installer? Do you offer special coupons and rebates? What is the difference between "Accessories" and "Equipment"? What if I need an item to ship sooner than what is listed? What if I don't live in the Northwest? Can I still order? Do you share my information? Is my information secure? Can I return an item ordered from Titan Truck? Most orders ship within 3 business days. However delivery times vary depending on where the item ships from, where we are shipping to and whether or not the item is on back order. Titan Truck has contracted with regional carriers who meet or exceed national carrier delivery times and price (UPS, FedEx). Many of these do not offer live delivery tracking information. If you have placed an order and it has not been delivered within the time frames listed below please contact us and we'd be happy to assist. Q: What is "Open Box"? Items with "Open Box" in the title are New, Uninstalled, Non-Defective, Fully Guaranteed parts in their Original Packaging that for whatever reason are being discounted for quick sale. All are in original packaging that may or may not have been opened. Q: Can I have my part shipped to a professional installer? Yes! Select from the Dealer & Installer Locator to see professional accessories dealers & installers near you. The "wrench" icon indicates they install certain items shipped to them. Installers may not install all types of parts, so read their descriptions carefully. At checkout, you can select to have an item shipped to your selected professional installer. Our list of installers in WA, OR, ID & MT is growing, so if you don't see one near you today, be sure to check back on your next purchase. Note - Suggested installers are independent businesses who set their own installation rates and have their own terms, policies and warranties. By having an item shipped to an installer, you accept that installers terms & conditions. Contact your installer of choice prior to having an item shipped. Q: Do you offer special coupons and rebates? Yes! Sign up for our Email Blast to get coupon codes and information on manufacturer rebates. See bottom of the Home Page. Q: What is the difference between "Accessories" and "Equipment"? Play Truck? Everyday Truck? Work Truck? Commercial Truck or Van? In addition to truck Accessories, we supply and install professional truck & van Equipment for contractors, fleet managers and municipalities relying on their trucks & vans to get work done. Items designed to make your personal truck more functional or attractive are generally placed in Accessories, while items designed to outfit a professional truck or van would be in Equipment. Some items such as winches, cab guards, tool boxes and certain types of lighting crossover in both categories. Q: What if I need an item to ship sooner than what is listed? If you need an item to ship sooner than what is listed on the part you're interested in, click the "Recommended Items" button just below the item's price & availability. This will show you similar items that we can possibly ship sooner. Q: What if I don't live in the Northwest? Can I still order? Yes! Items we stock in the Northwest can be delivered fastest to customers in WA, OR, ID & MT. However we drop ship from factories throughout the United States as well, and have customer coast-to-coast. Q: Do you share my information? Is my information secure? We take your Privacy and Security seriously. That's why we use Authorize.net for all of our online transactions. To know more about how we store and use your information, please see our Privacy Policies. 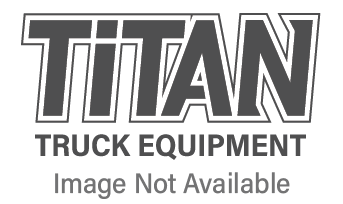 Q: Can I return an item ordered from Titan Truck? Titan Truck reserves the right to refuse the return of any product deemed not suitable for return or does not meet any of the criteria above. Credit or reimbursement will be issued upon receipt and inspection of the returned item to determine it's eligitiliby. If your part meets the above criteria and you would like to return it, start a return request by either viewing your orders or start a return request here. Delivery times vary depending on where the item ships from, and whether or not the item is on back order. All delivery times are estimates, and assume the item is shipping to our normal service area (WA, OR, ID, MT).